Triage referrals by assessing all incoming referrals to find out whether there is a risk that can be managed by adult speech and language therapy, and ascertain how urgent the risk is. Provide a specialist adult speech and language therapy to clients that meet the referral criteria. Give evidence-based advice for diagnosing, treating and managing dysphagia and communication disorders, promoting health, and preventing disease. Offer group and individual treatment, and education appropriate for the needs of the client. Negotiate and agree goals with clients and their carers, including contributing to the interdisciplinary goal-planning process. Provide information and education to clients on how to achieve goals. Re-assess and evaluate interventions with further advice as required, including ongoing monitoring where this is right. Provide education on how to manage a clinical condition or prevent complications related to the condition. Facilitate a smooth transition for adults needing ongoing adult speech and language therapy when they are being transferred from other services (e.g. paediatric team, an acute setting). Participate in multidisciplinary meetings to discuss client care plans. 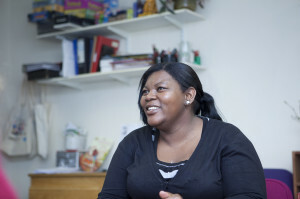 Work with other agencies to integrate adult speech and language therapy into other services. Develop and review written information for clients and other health professionals. Provide onward referral to appropriate services for clients whose needs cannot be safely met within the adult speech and language therapy team. Assess and support clients needing assistive technology. chronic medical conditions such as COPD, which may lead to swallowing difficulty. Our clients live in Oxfordshire and need to be registered with an Oxfordshire GP. Difficulty producing and using speech. Difficulty understanding or using language. Difficulty with feeding, chewing or swallowing. Neurological disorders such as Parkinson’s disease. Cancer of the mouth and throat. Swallowing difficulties associated with dementia. The service has an open referral system, accepting referrals from all health professionals or directly from the client. Three locality teams – South, North & West, City & East – providing an adult speech and language therapy service across Oxfordshire. An in-client stroke team based at Abingdon Hospital. The service aims to support the assessment, diagnosis, treatment and/or management of individuals with communication and/or swallowing impairments, to maximise their abilities and achieve their full potential. Clients are seen in a location most appropriate to them – a health domiciliary setting, clinic or community hospital. Any health professional can make a referral, as can clients and their carers.